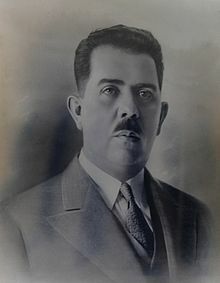 Lázaro Cárdenas del Río (Jiquilpan, Michoacán, May 21, 1895 - October 19, 1970) was president of Mexico from 1934 and 1940. Considered one of the most honest and hardworking presidents in the history of Latin America, he provided strong, clean leadership at a time when his country most needed it. Today he is revered among Mexicans for his zeal in eliminating corruption, and many cities, streets and schools bear his name. He initiated a family dynasty in Mexico, and his son and grandson have both gone into politics. This page was last changed on 9 July 2014, at 06:28.